Recent allegations of VA misconduct reveal the systemic dysfunction plaguing the organization responsible for veteran care. As the number of veterans continues to grow, waiting times at VA facilities have been on the rise for well over a decade, pressuring leadership to reduce wait times and improve care. This dilemma took a tragic turn when a shocked nation learned that a VA hospital in Phoenix maintained two lists of waiting veterans. On the first, the official list reported to the administration, veterans received expedient care with average waits of only 24 days. On the other, 1,700 sick veterans languished for months or longer — if they received any care at all. And as many as 40 of these veterans died while waiting. When the news of these “secret lists” first trickled out of the Phoenix facility, officials insisted it was an “isolated incident” and represented the malfeasance of a few bad apples. Since those early reports, the evidence and allegations continue to pile up, expanding the ongoing investigation to 42 medical centers across the country. These revelations ultimately forced VA Secretary Eric Shinseki from his post, the most notable in a rash of firings in the hunt for accountability. But such firings are symbolic gestures and fail to address the underlying causes of mismanagement, namely perverse incentives and a lack of accountability. The promise of financial awards with little oversight from the central office has corrupted a system that 8 million Americans rely on for health care. Remind the government that the people are watching and angry, and we demand justice for our veterans. I find the recent allegations surrounding the Department of Veterans Affairs deeply disturbing. While the initial response by your office demonstrates a firm resolve to address the current crisis, the damaging allegations have undermined the public’s faith in the highest levels of the department. Unfortunately, personnel changes will not be enough to restore that faith, given the systemic dysfunction depicted in the inspector general’s preliminary report. Old means of accountability have, at best, proven inadequate and, at worse, contributed to the current atmosphere of misconduct. The “wait list” itself has proven problematic, a poor measuring stick for quality-of-service that serves as a multiplier for incompetent managers, such as those found at the Phoenix branch. Meager mandates to reduce wait times have an established record of not working. To the contrary, it actually incentivizes the misconduct witnessed in recent weeks. By linking these wait times to staff bonuses and salary increases, such metrics encourage management to manipulate data and even to outright lie, all to the detriment of the waiting veterans and the taxpayers funding an otherwise noble endeavor. Enforce compliance at the regional and local levels. Anything less will only perpetuate the failed logic that cultivated the current crisis. 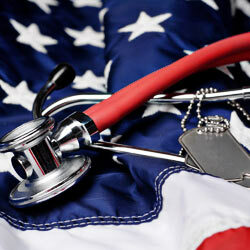 As a nation we cannot afford to fail our vets, particularly in their time of need.